This year’s event saw 58 students who presented research posters in biology, biochemistry and molecular biology, neuroscience, environmental science, chemistry, physics and honors-psychology. Additionally, there were 24 individual and group oral presentations in psychology. SURS was created to provide undergraduate students with an opportunity to conduct independent research and present to a community of peers. 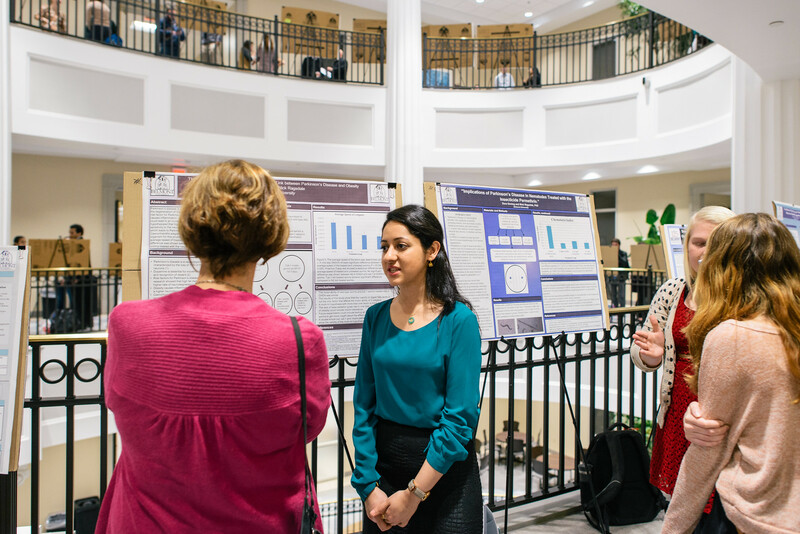 With the Wedgewood Academic Center’s facilities, students are able to present research posters in the third and fourth floor atriums. Many students who presented research participated in this year’s inaugural Summer Undergraduate Research Fellowship (SURFs) program and began their projects then.